We are the only gym in Nashua with an indoor heated saltwater pool! What better way to relax and refresh than by enjoying an individual, or family, swim in our heated indoor pool and large family size Jacuzzi? 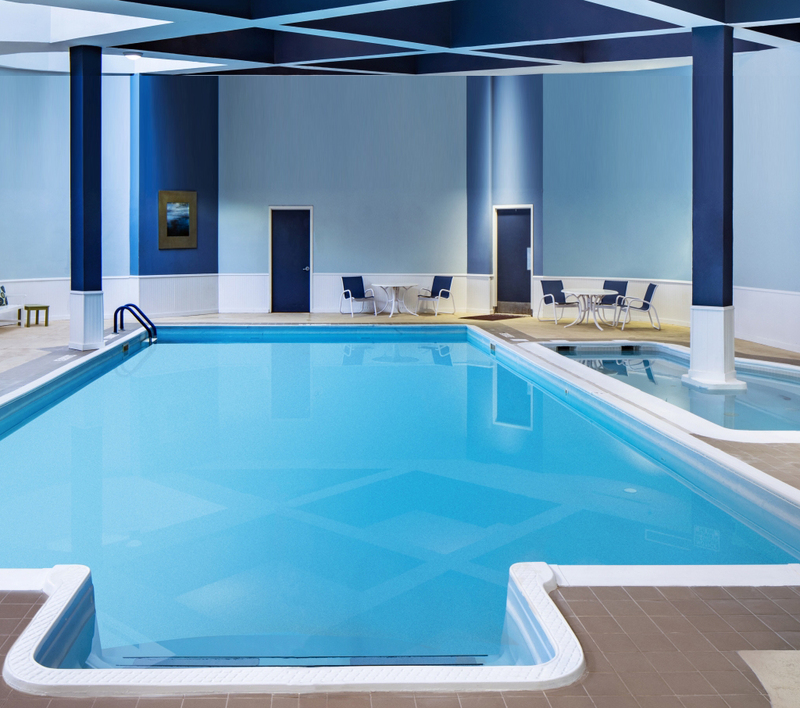 The seasons in Nashua, New Hampshire change quickly, so year-round access to an indoor pool is an excellent way to stay in shape and spend quality time with family! But saltwater pools and hot tubs are about more than enjoying a refreshing dip. They provide significant health benefits including loosing tight muscles, soothing the skin, easing joints, and decreasing stress levels. In fact, saltwater is especially helpful for people suffering from arthritis, osteoporosis, or other inflammatory issues, as the increased buoyancy can be combined with light exercise to increase mobility and strength. Whether you enjoy swimming laps, spending time in the pool with family, or want to reap saltwater health benefits, our pool and spa membership is perfect for you!